Printer manufacturers insist that you use their original ink cartridges; it is a major part of their income after all. Canon Printers usually have built-in mechanism to check if the “cartridge” is installed is manufactured by Canon, if not then the printer would show an error. 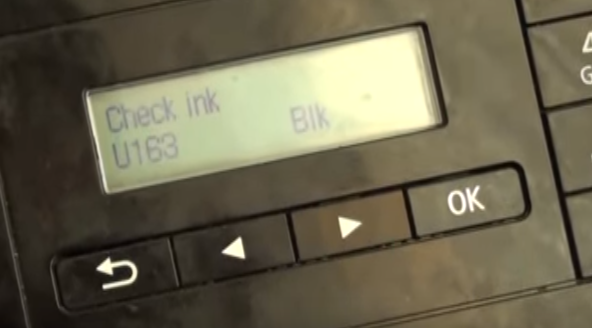 Most Canon Printers usually throw Error “U163” which simply states “Check Ink” i.e The Ink Cartridge. Advanced models may show the cartridge in question as well. The error may also arise due to a malfunction, even if you are using Canon ink cartridges. There are a couple of key combinations you can apply to your printer to by pass this error message. In this guide, we’ve listed the ones that works on most models. The pictures below are from a Canon MX436 Printer. Use the combinations below applicable to your printer. Press and hold down Stop/Reset button for more than 5 seconds until the error message disappears. Press and hold down Resume/Cancel button for more than 5 seconds until the error message disappears. Press the Start button once. 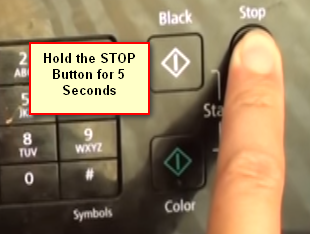 Then press the BLACK button for error message related to the black cartridge or press COLOR button for the error message related to the color cartridge. There are certain things to keep in mind when refilling ink cartridges. First, buy excellent quality ink. Even the best quality ink will cost you a lot less than buying the new cartridges. Second, use a separate syringe to fill each color. For example, if you are using CMYK, use four separate syringes for each color and wash them after filling the ink. Third, never install a leaking ink cartridge in the printer, and follow the instructions provided by ink manufacturer.